Chan Sung Jung dug deep into his jiu jitsu bag of tricks to pull off his impressive twister tapout win over Leonard Garcia. 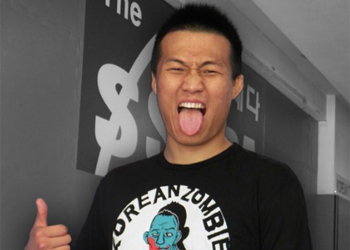 Now that “The Korean Zombie” has unveiled the seldom seen submission, some BJJ gurus have dissected the move so fans can understand the intricacies behind the maneuver. Rener and Ryron Gracie launched their video early Monday morning, while Eddie Bravo followed up with his take shortly after. As customarily with all “The Gracie Breakdown” summaries, the grapplers eloquently explained all of the submission attempts that went down during MMA’s most recent fights. In their latest episode, the brothers discussed this past Saturday’s “UFC Fight Night 24” show in Seattle, Washington. Bravo, who has been credited for being the first to execute the twister in BJJ competitions, took the Gracies’ video one step further by showing how the move will likely be executed in MMA moving forward.